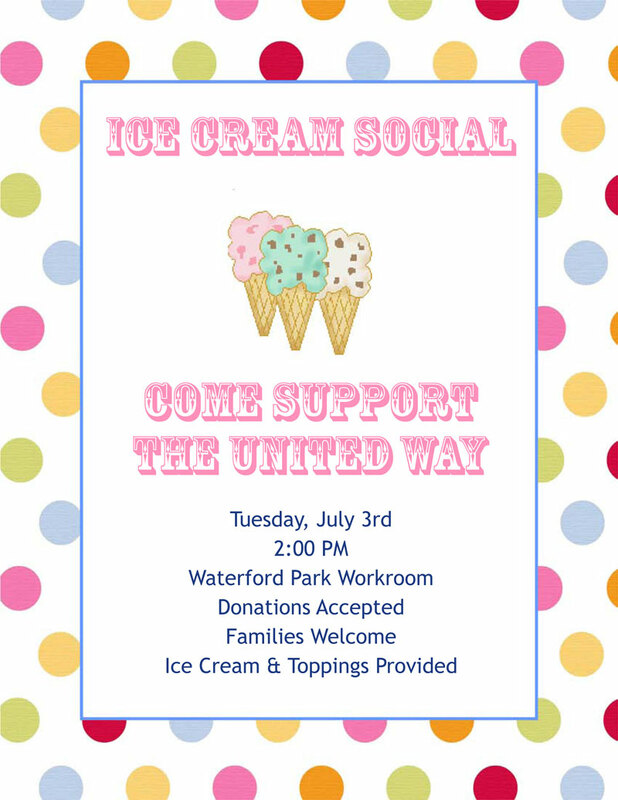 Tomorrow Tuesday July 3, come have some ice cream with your co-workers and support the United Way. The ice cream social begins at 2 p.m. in the Waterford office workroom. Families are welcome, and of course United Way donations are appreciated. There will be a wide variety of ice cream flavors and toppings.